Water damage is a problem that most San Luis Obispo homeowners and business owners have to face at some point, but if their yards have effective drainage systems, the potential for water damage is greatly reduced. 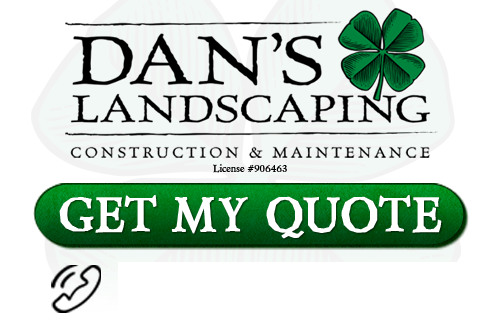 Hiring a landscaping expert from Dan’s Landscaping Company to improve the drainage of your lawn can limit the damage done to your home or business’s foundation and structure, building materials, vegetation, and concrete and asphalt. Proper drainage will also decrease wood rot, mold and mildew growth, the rate of erosion, and the number of pest infestations. You can schedule drainage services from a landscaping company like Dan’s Landscaping Company during any time of the year, so any time is the right time to upgrade the drainage on your property. What Type of Lawn Drainage Is Right for Your Property? 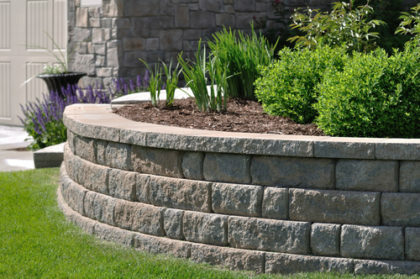 Retaining Wall – Retaining walls are usually used to hold back soil at extremely different elevations, but adding a retaining wall requires careful planning regarding drainage. Water can’t pass through a solid retaining wall, so high pressure can damage the wall if water builds up behind it. Filling the space behind the wall with gravel, including a perforated pipe behind the wall, and creating weep holes in the wall will allow for proper drainage. Dry Well – A dry well, also referred to as a soakwell, soakpit, or soakaway pit, is an old drainage method that still exists today. Dry wells are similar to water wells, but they’re filled with or surrounded by gravel and installed above the water table. They serve as water reservoirs and hold wastewater or rainwater. The water within dry wells eventually absorbs into the soil. Grass Swale – A grass swale consists of plants that can tolerate floods and resist erosion. It’s a graded landscaping feature with a linear orientation and shallow depth. Grass swales are used to manage stormwater and limit the risk of flooding, and the collected water drains into the soil within hours or days. French Drain – A french drain is a slightly sloped trench that is full of round gravel and a perforated pipe that channels water away from your property. The water is usually directed to a drainage ditch, street, dry well, or low-lying area. Sump Pump – Your lawn care company can install a sump pump if your property resides in an area with a high-water table or an area that tends to flood from heavy rainfall. Sump pumps protect buildings from water damage by directing water away from the buildings through pipes. Land Grading – Land grading is suitable for new homes and business buildings after site excavation. The process involves a leveling or sloping of the ground so that water does not accumulate near the foundation of buildings. Holding Pond – Landscaping experts at Dan’s Landscaping Company can build a holding pond on your property if you need help managing stormwater and avoiding erosion, flooding, and runoff. Holding ponds can be constructed in different shapes and sizes, and they’re often able to hold a significant amount of water.